Rent our historic Inn for your small meeting or gathering. Space may be rented from 10 am - 8 pm daily (extended hours available on certain dates). Please note: Unfortunately, we are unable to accommodate wheelchairs. All participants must be able to climb 5 steps to our door. Our dining room can hold 12-15 people comfortably, using one long table and two smaller tables. 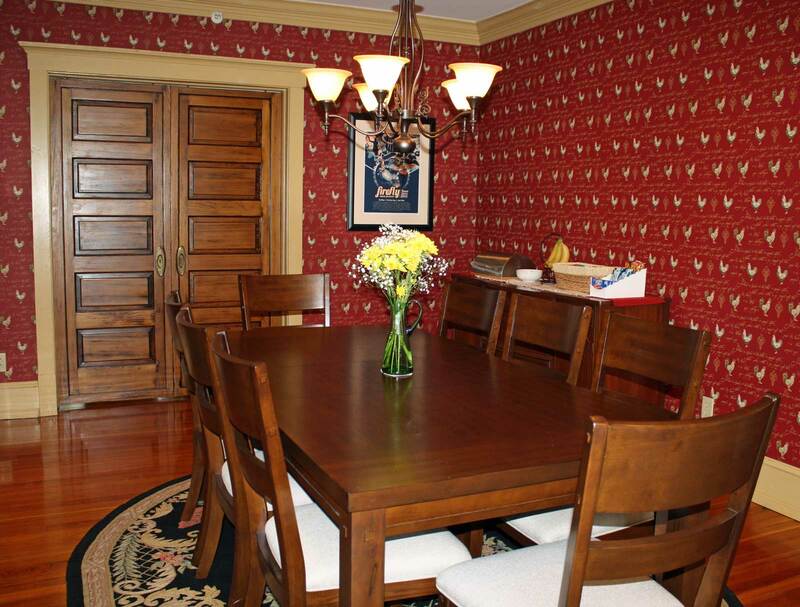 The dining room can be closed off for privacy. 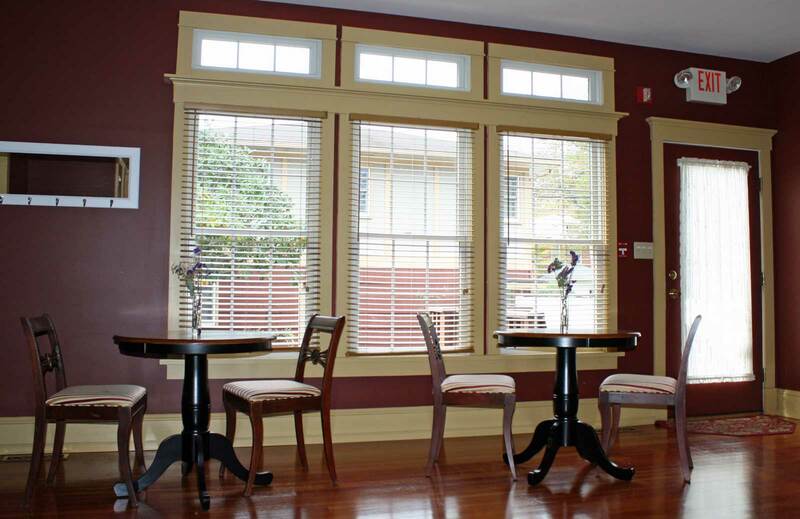 Our parlor, sunroom, and front porch offer casual seating options for smaller groups. By law, we can only serve meals to our overnight guests, so we are not able to provide meals for meeting groups. However, you are welcome to bring your own food or caterer, and we will gladly store any items you bring. We have 2 refrigerators and a freezer available for cold food storage, and a microwave is also available. Food is only allowed at our dining tables, or outside. Please refrain from eating in our parlor/sunroom. An easy option for food is The Grocery Basket, a sub and sandwich shop conveniently located behind our inn, less than a one-minute walk. We are located at 228 North State Street, in downtown Dover, DE. Our convenient location is within easy walking distance of the Wesley College campus and several restaurants.